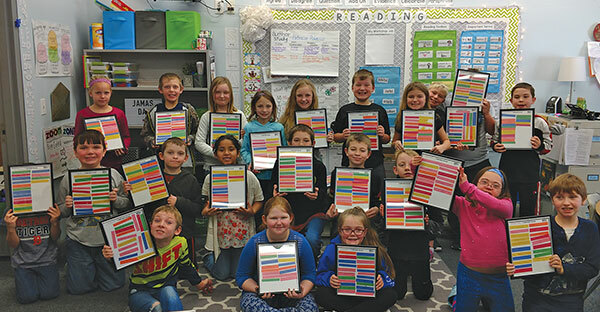 Tag Archive | "The Bridge"
Third grade students show their Compliment Collage’s they made to instill confidence through compliments. 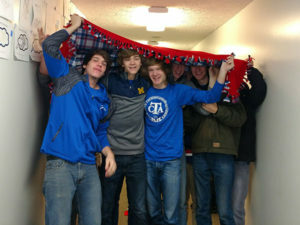 Staff and students with one of the fleece tie blankets they made during the day of service projects. This year CTA students have been able to work with an AmeriCorp Vista representative through the Heart of West Michigan United Way. Our high school students crafted tie blankets for Degage Ministries plus tie hats that they gifted to others. Some of the organizations that received the hats were Degage Ministries, North Kent Connect, and The Bridge. Elementary students read books with our high school students, and talked about the power of compliments. Elementary students also decorated lunch bags for Kids Food Basket. We all enjoyed being able to give back to our community to honor Martin Luther King, Jr. Day!